Maybe Nintendo doesn’t need Mario. Maybe what Nintendo needs is a JRPG for the ages. Maybe Nintendo needs Xenoblade Chronicles. Nintendo has Xenoblade Chronicles on the brain. The recent 3DS redesign announcement will be coming with an exclusive handheld version of the original game; Xenoblade Chronicles X looks set to hit the Wii U next year; and the hero of Xenoblade Chronicles, Shulk, has been added to the Smash Bros. roster, much to the dismay of Ridley fans. This is exciting news for well-wishers of the Mario factory. Xenoblade Chronicles was one of the most critically acclaimed and fan-beloved JRPGs of the last generation and it holds my personal title for best game of last generation. But it’s becoming clearer that Nintendo, for once, is actually paying attention. They seem to be contemplating turning Xenoblade Chronicles into a supported, core series. If they keep this up, Nintendo might combat the accusation that all they are is Mario and Zelda, and a large hole in Nintendo’s lineup might be filled. Nintendo is in a tough place right now, and Xenoblade Chronicles could be exactly what they need. 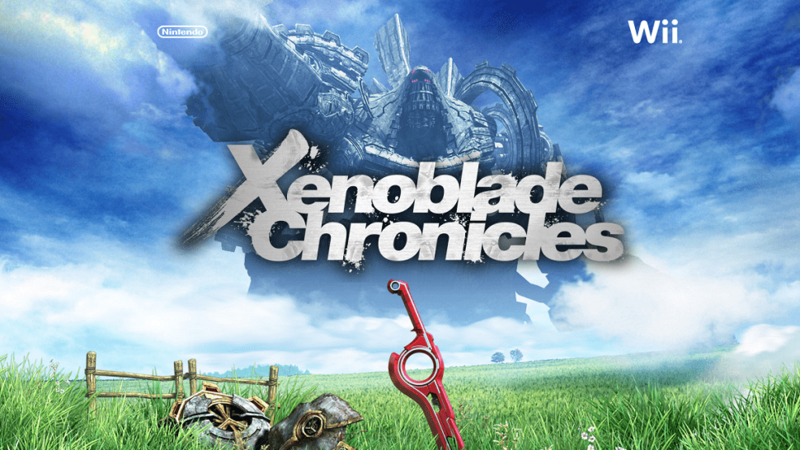 For those unaware, Xenoblade Chronicles is a JRPG set in a massive, sprawling open world. The combat is reminiscent of Final Fantasy XII, but with a heavy focus on positioning and the strategic use of complementary skills. But what was really special about Xenoblade Chronicles was the scope of its story. Huge isn’t the right word. This was a game you could spend 60-80 hours on and only stick to the story. The absolutely insane amount of side quests would likely tip your playing time to over 100 hours. Though many games claim 100+ hours, this is one that actually delivered, and all of it was excellent. There was just something about walking into a massive landscape and knowing that the mountains in the distance could be visited, and that there are secret nooks and crannies everywhere. This feeling is par for the course in Bethesda-made WRPGs, but still very new and different for the far more quirky and unique JRPG industry. And it makes sense for Nintendo to cultivate the creators behind Xenoblade Chronicles, Monolith Soft. This studio was founded by former Squaresoft members shortly after the completion of Chrono Cross. Since then, they’ve co-developed a lot of games of questionable quality, while being the primary developers of their Xeno series. Their Xenosaga was a game of missed potential (great story, not so wonderful gameplay), but they seemed to have hit it big with Xenoblade Chronicles, a game that inspired a successful grass-roots campaign in North America to push Nintendo to localize it. Monolith Soft is also a second party developer for Nintendo, who owns 97% of the company, meaning that Nintendo should be developing the talent rather than wasting them on co-development, especially since third parties don’t seem interested in helping the Wii U out. The continued lack of third parties has been a huge blow to Nintendo’s latest console. While it does mean that the Wii U offers a totally unique experience versus the other two consoles or PCs, it also lowers the chance of it being anyone’s primary console. Nintendo has began trying to combat this by leasing out its hugely popular franchises to specific third parties. That’s why we have Hyrule Warriors on the horizon, and Bayonetta is getting all those Nintendo costumes. The key for Nintendo isn’t to shout “me too!” from the rafters and court EA or Activision. The only thing Nintendo needs is a steady stream of content on its machines. This is usually accomplished by third party developers bringing out new games frequently. But it is possible to achieve this with a mix of first, second, and sponsored third party games if the turn around is fast enough. Perhaps one of the biggest problems Nintendo has from a marketing perspective is the fact that it has a young image. Many gamers grew up with Nintendo, and the fact that they are still putting out the same series is off-putting for rebellious teenagers, who want to prove that they aren’t, in fact, children. Mario is synonymous with quality in gaming, but it also holds the torch for being many gamer’s first foray into gaming. That’s why the push to have Nintendo adopt more new IPs and focus on their less pimped-out series is so strong. Xenoblade Chronicles has the potential to grow from a critically acclaimed one-off new IP to a massive franchise, giving Nintendo the best competitor to Final Fantasy since Square stopped making non-Final Fantasy and Dragon Quest RPGs. And it seems like Nintendo knows this as well. Putting Xenoblade Chronicles out as the carrot to entice people into buying the New 3DS is a bold move, one that shows great confidence in the brand. The handheld market is where Nintendo is the unquestioned king. They know what they’re doing, and I’m betting that they’re hoping to increase exposure to the underground hit. The same goes with putting Shulk in Super Smash Bros. A whole slew of gamers will be asking themselves “who’s Shulk?” The same thing happened with Ness and Lucas in the past, though the Mother series had been long abandoned by the time Brawl was released. Still, demand for more Mother reached an all-time high. I, for one, am still waiting on a localization of Mother 3. Then there’s Xenoblade Chronicles X. This is a game that has not often been heralded as the saviour of the Wii U, but perhaps it should. At this moment, Xenoblade Chronicles X is poised to offer an experience that has not yet been seen on current generation platforms. While most developers are still playing it safe and staying small, Monolith Soft is getting ready to offer the massive experience that usually only gets put on the table starting at the midpoint of a console generation. A massive showstopper is what Nintendo needs right now, something to turn heads. Mario may be powerful and Zelda triumphant, but neither of those series are going to change minds. The sequel to hands down the best new IP on the Wii? That’s something to get excited for. With proper brand management, Nintendo could have another sustainable series, known for its utter dedication to quality. All they need to do is stamp the Nintendo Seal of Approval on it. Diablo III – Can a Co-op Game Appeal to a Single Player Fan? Hopefully the 3DS release of Xenoblade will be able to get many people who do not own a Wii U on the franchise’s bandwagon. It would do wonders for the system when X comes out. Thanks for the smash roster spoiler with NO warning. Jackass. I apologize for the spoiler. I was under the impression that since it was announced by Nintendo and covered by gaming news media, it was no longer a spoiler that I had to be concerned with. I’m sorry for damaging your future experience with Smash Bros.
Holy crap. How do you not have a spoiler warning for an unrelated game. Really poor form and unprofessional to have an embedded spoiler for smash and not give any warning. I apologize for the spoiler. I was under the impression that since it was announced by Nintendo and widely covered by gaming news media, it was no longer a spoiler that I had to be concerned with. I’m sorry for damaging your future experience with Smash Bros.